I don’t know about you, but dryer sheets are expensive! And to only use them once in a load of laundry is a shame. But after some research, I found out that dryer sheets aren’t just for laundry anymore. How exciting! Now you can get more out of your money. And who doesn’t love that? I know I do. Upon doing my research I found that there are a couple different types of dryer sheets formats on the shelves. One type is manufactured with a polyester substrate non-woven base and the other has a cellulose base that can be recycled as a paper product. Neat huh? You learn something new every day. There is also a variety of scents and some unscented ones as well. A little bit for everyone. But beyond using them for your basic laundry needs, you can use them all around your house too. The same properties that allow dryer sheets to minimize static in the dryer apply to removing pet hair from clothes and furniture. It’s easy. Just rub the sheet over the hair to loosen it from fabric. You can save used dryer sheets just for removing pet hair. If you’re trying to remove pet hair from furniture with hard surfaces, no problem just get your dryer sheet a little wet before dusting off the hair. Ok, it’s no secret that shoes can get really dirty and really smelly. And then we are putting our nice clean feet and socks right back into them on a daily basis. Yuck! Try Adding a dryer sheet to shoes and boots. You can cut or fold the dryer sheet to fit your shoe. And your shoes will smell better in no time. Dryer sheets also work for stopping the squeak on the bottom of your shoes. Rub the bottom of the shoes with a dryer sheet and it will minimize the friction between your shoes and the floor causing the awful squeak. If still here with me, and you should be we are only at number three. We talked about the properties in dryer sheets that help get rid of the static on your clothing. If you’re still experiencing a lot of static after you pull your clothes from the dryer, this could be due to your laundry detergent. But no worries, just take that same dryer sheet and rub it on your clothes. When packing your luggage for business trip or vacation. Take some dryer sheets and put them in between your clothing. This will keep them fresh and prevent them from smelling like a plane. Helpful hint: Instead of using new dryer sheets, you can reuse old ones. Just start a pile in your laundry room. Do you have kids that are always touching the Television or your computer screen even though you tell them a million times not to? Sometimes it can be tough to get those greasy fingerprints off. Not today. Today you learn that you can take your dryer sheets and they wipe right off. It’s like they were never even there in the first place. Of course, I know this doesn’t excuse the irritation of you having to repeat yourself. It still helps. Personally, I haven’t tried this. But I’ll try anything once. A lot of campers and outdoor Guru’s swear by the use of dryer sheets flea insects away. They rub them on their skin and tuck the sheets into tops of socks or collars. They even put them in their sleeping bags at night. Who knows maybe off will come up with bug repelling dryer sheet! 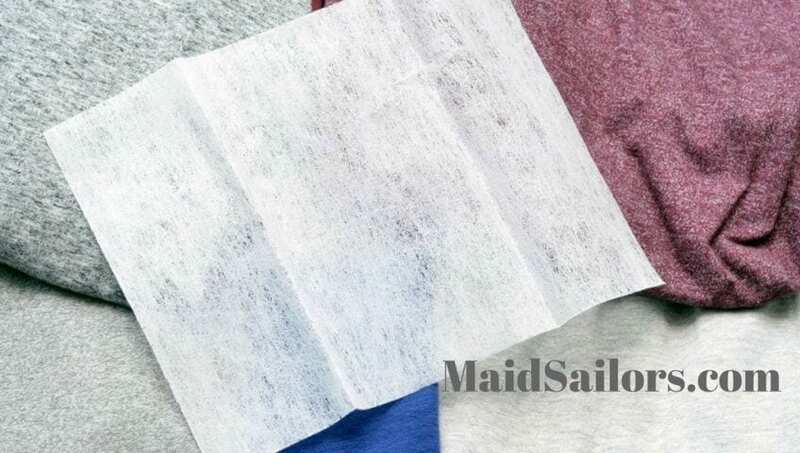 Get your favorite scented dryer sheets and cut them into one-inch strips. Tie them to the trees or around your garden area and the scent will repel plant-munching deer. In case you didn’t know, deer are vegetarians. They live for fresh gardens like yours. You also want to make sure you have a polyester non-woven dryer sheet to avoid the stips melting during wet weather, which is deer hunting season. Take a used dryer sheet and set it on your fruit. Not only will this keep fruit flies away, it will keep spiders away. I like to throw them in random places throughout the kitchen like by the fruit, by the coffee pot, and by the bread. Trying to tackle stuck-on food in a pot or pan? Place a non-woven polyester dryer sheet in the pan and fill it with very hot water, allowing the pan to soak overnight. The silicone on the dryer sheet will help soften the food. In the morning, take the dryer sheet and begin to wipe away the food. It’s easy and won’t scratch your pan either. 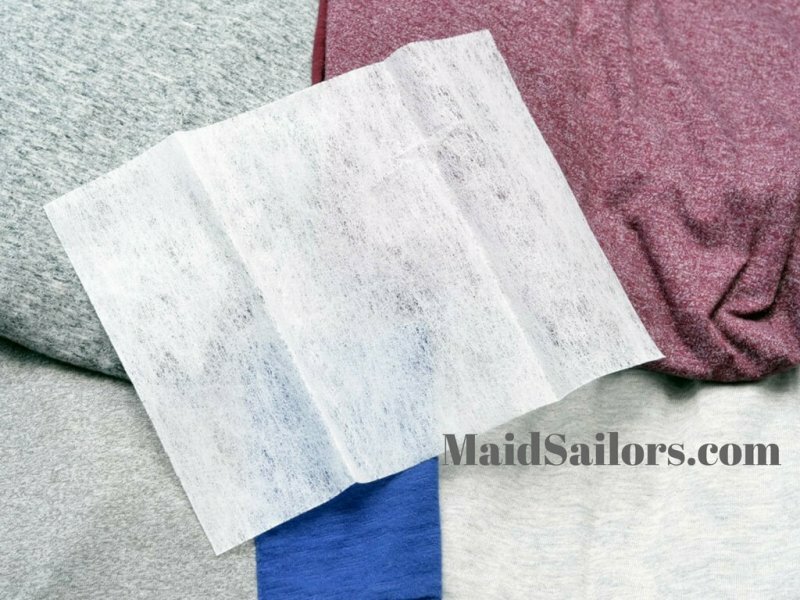 For tips on how to make your own dryer sheets check out this article on Hubpages.